Well that was a hoot and a half. 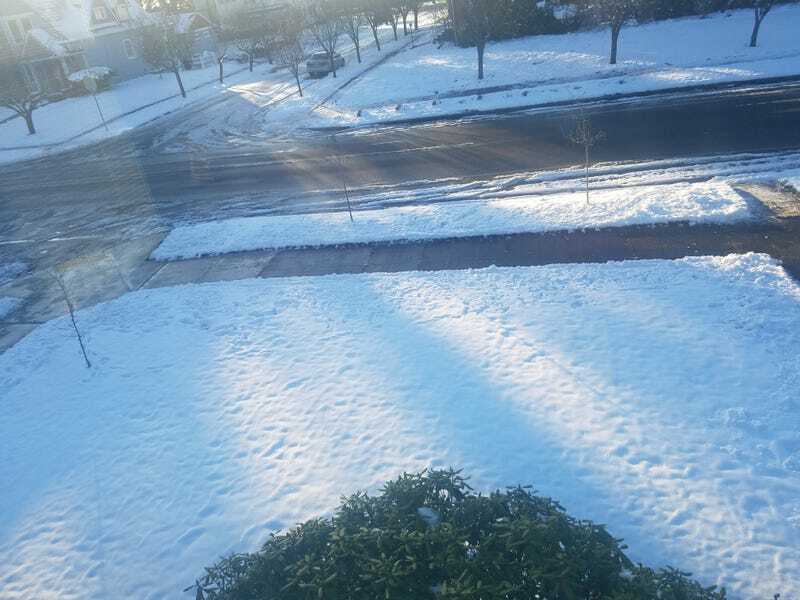 With the sun overhead and temperatures reaching 33F, I broke up all the packed ice on the sidewalks around my house, using a flat spade shovel like a chisel. A nice older lady with two walkin’ sticks came up and thanked me for making it safe. Most sidewalks in town are still solid ice except where people have heavily salted before the snow came. Te hardest part by far was the corner, where I actually cleared enough for someone in a wheelchair to get up and through. Sure, I can’t stand up straight at all, but I think I did a good-ish thing.